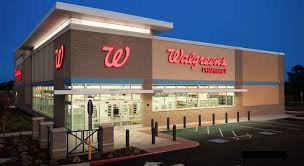 Use the $1/1 Starbucks Double Shot, Frappuccino or Iced Coffee Drinks 4 pack Walgreens Store coupon found in the January Savings Booklet, available to digitally clip to your balance rewards card here (pick up free booklet in store). Final Cost $2.00 total – Only $1.00 per box! Final cost 49¢ each, when you buy 2! Final cost $3.25 – $1.63 each! Use the $1/2 Hershey’s Select Candy 10.5 to 12 oz Walgreens Store coupon found in the January Savings Booklet, available to digitally clip to your balance rewards card (pick up free booklet in store). Final cost after points = $5.48 – $2.74 each! Final cost $2.94, just $1.47 each! Final cost after points = $4.58 – $1.53 each! Final cost $3.33 per item! Final cost after points = $3.83 – 77¢ per item! Final Cost $4.98 total – just $2.49 per pack! Final cost $7.83 – $3.92 each! Final Price As low as $2.50 per pack. Final cost after points = $30.51 – $15.26 each! Final cost after points = $11.74 – $3.92 each! Final cost $3 – Just 75¢ per bar! Final cost $2.22 – Just 74¢ per box! Final cost as low as $3.99 for Bounty or Charmin!